We are a relevant, vibrant and warm orthodox Shul with a history dating as far back as 1906. Our Shul has faced a number of challenges through the years, which included having its doors shut for a period of 19 years. 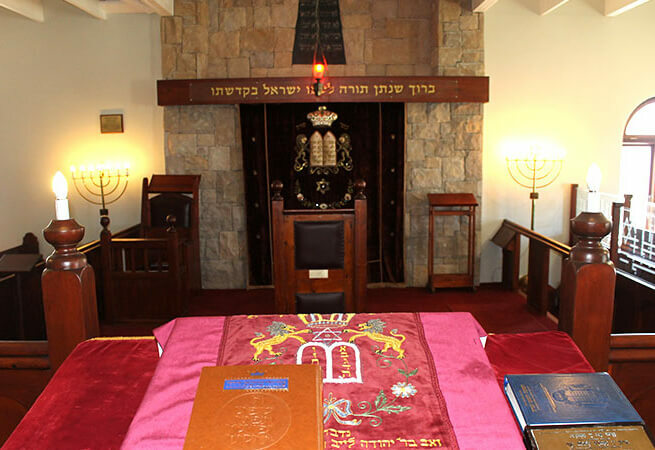 With a dedicated and spiritually devoted Jewish community, the Shul and the Hermanus Hebrew Congregation were revived. Today the congregation enjoys regular services, which are held every Friday evening and on most Holy Days. The building of a new Shul and Jewish Centre was built for our growing congregation. The Jewish Centre offers ample parking facilities for all visitors; a banqueting hall that has hosted and can host many functions; a fully functional kosher kitchen with all food products being supervised under the strict auspices of the Beth Den as well as a spacious and beautiful garden. 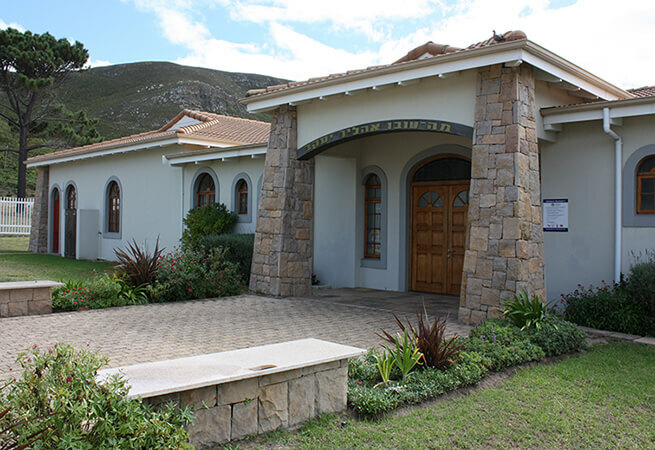 Our Shul and Jewish Centre is situated on the corners of Jose Burman Drive and Magnolia Street, Hermanus. The next time that you visit the lovely seaside village of Hermanus, please do pay us a visit. We look forward to welcoming you. The Hermanus Hebrew Congregation has an eventful history that dates back to 1906 when the congregation was first founded by Rev Warshawsky. In the early days religious services were held in private homes including in the home of Rev. Chaim Falkoff, who was appointed as the minister to the community in 1922. By 1925 the congregation had grown significantly, and had approached the local municipality for the purchase of Lot No. 1 in Main Road, Hermanus. The property was purchased for £10 and by 1926 the congregation had raised enough funds to build a synagogue. By 1930 the synagogue and congregation thrived as Jewish holiday makers as well as Jews from Botrivier joined the local congregation for its regular services that were held during the week as well as on Shabbat. Cheder classes continued for the children of the Jewish congregation. 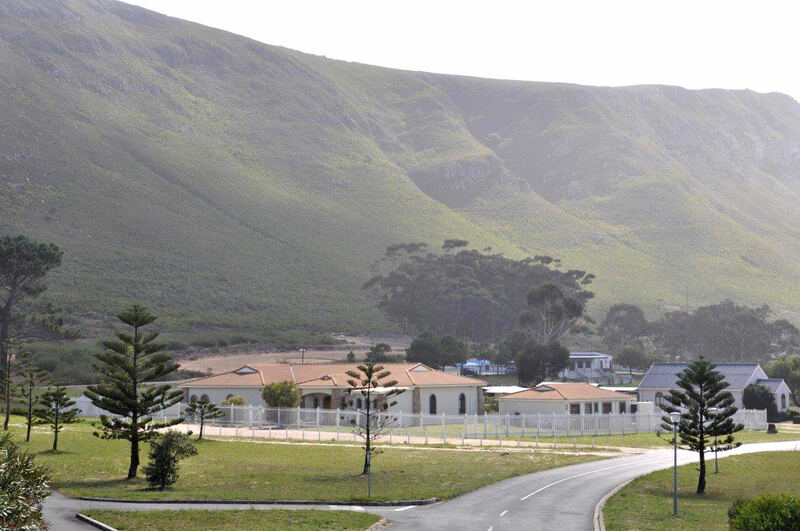 Through the years the Jewish congregation and community became an integral part of Hermanus community and contributed to the economy of the town, initially as general dealers and later playing their part in all services and professions of the town. The congregation supported a number of Jewish and local charities, hosting events and fund raisers including annual dances throughout the years to raise funds for specific community projects. Sadly as the years passed, the Hermanus Hebrew Congregation saw a decline in regular services and attendance and by 1968 the congregation had dwindled down to 12 members. 1973 saw the retirement of Rev. Chaim Falkoff. Even though regular services continued to take place by 1977, there were not enough men to form a minyan. Without adequate attendance, religious services dwindled and eventually ceased. 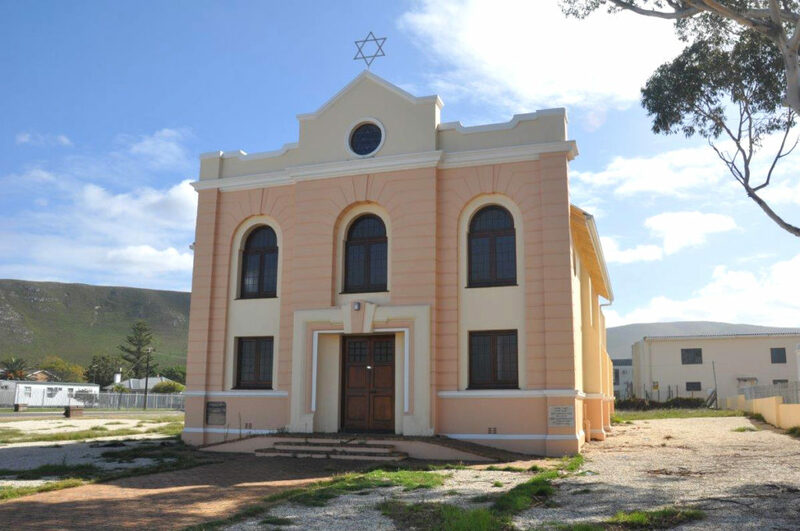 19 years later, in 1996 a group of Capetonians who owned holiday homes in Hermanus expressed the desire to revive the Hermanus synagogue and by 1997 under the leadership of Cedric Glick, Sonny Josman, Leo Kaplan, Bertie Chait, Bennie Rabinowitz and Leon Wilder, the restoration and refurbishment of the synagogue was initiated and overseen. Rabbi Silberhaft, also known as The Travelling Rabbi, re-dedicated the synagogue in a ceremony on the fifth night of Chanukkah in December 1997. Rosh Hashanah services were once again held in the synagogue in 1998 after a lapse of 23 years. Minyanim was held twice daily while Rabbi Silberhaft was in town and Friday night services were once again well attended. By 2006 a mandate had been given to enter into negotiations for the sale of the synagogue, and to purchase suitable land from the municipality to build a new Jewish Centre. The location of the synagogue had become a troublesome safety concern for the congregants of the synagogue. In addition the Shul building was declared a National Heritage Site which meant that no alterations could be made to the façade of the building. The new Jewish Centre would include a synagogue, community hall and a home for visiting Rabbis and Bochrim. On Sunday, 7 September 2008 the local Jewish community along with esteemed guests from across South Africa gathered to consecrate the new synagogue and Jewish Centre. The occasion was officiated by Chief Rabbi Dr Warren Goldstein and Rabbi Moshe Silberhaft. Currently services are held regularly on Friday evenings and on all important Chags.